Since starting my blogging journey, I’ve been inspired by (and in awe of!) the many fabulous health food bloggers out there, creating amazing recipes with deliciously fresh ingredients, and sharing drool-inducing photos of their creations. It was while perusing some of these awesome foodies’ websites and salivating over their culinary endeavours that I came across spiralizing. Clearly, I am way behind the times – how have I missed all the hype about fruit and veggie ribbons and spaghetti styled courgettes?? 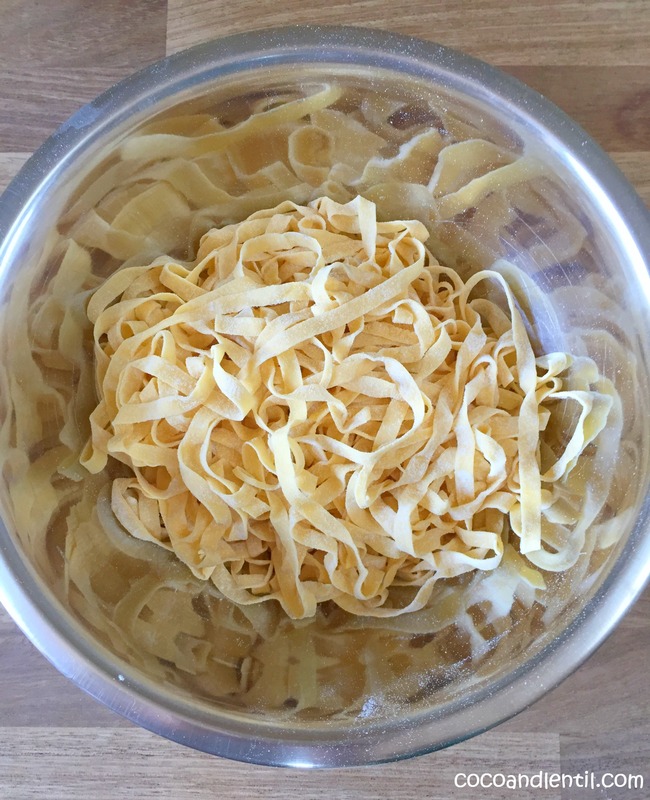 I wondered if the spiralizer was just the latest kitchen gadget: something I would use once and then retire to the cupboard over the fridge, which is rarely opened: I need a stool to reach it! I reasoned that I use my mandolin regularly and love Japanese food. Surely something food-related originating in Japan can’t be bad? So after a little research on the various brands and models I purchased a spiralizer online and eagerly awaited its arrival! I’m certainly not giving up on my yummy homemade pasta (mon Dieu!) or carbs altogether. I think they are an important part of a balanced diet, especially for children. 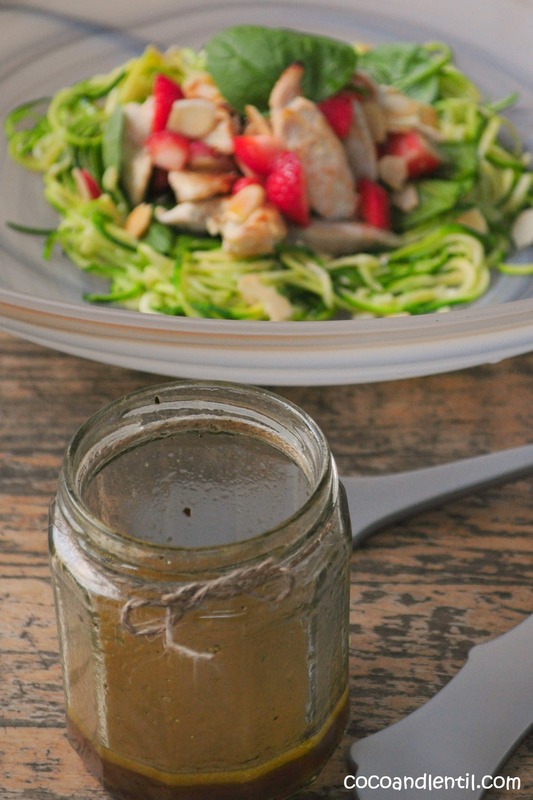 However, I am bursting with ideas for new recipes using my spiralizer and it is a fun way to introduce kids to new ways of eating fruit and veg. I’ve made this salad both with and without chicken and it’s as tasty either way so if you’re vegetarian just simply leave out the chicken. Serves 2 adult & 1 child portion. Tip: If you don’t have a spiralizer, a mandolin or julienne peeler are just as good for thinly slicing the courgette. If using a julienne peeler, you may find it easier to slice the courgette length-ways. Marinade the chicken in the yoghurt for a couple of hours / overnight. 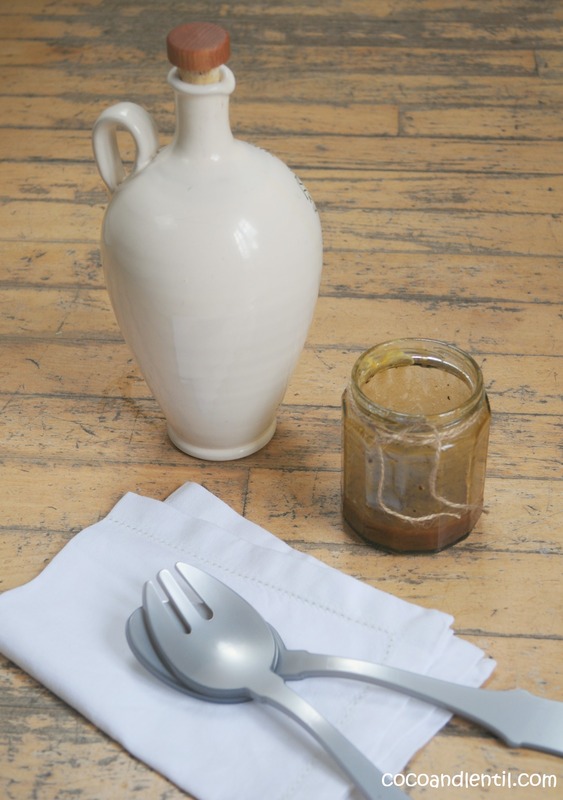 You can also prepare the dressing in advance: just give it a good shake / stir again before using as the oil will have settled on top. Add all the ingredients to a jar and shake well. Taste test with a spinach leaf. Pre-heat the oven to 220 (200 fan) and back for about 8 minutes and then flip the chicken pieces over, draining off any excess liquid and bake for a further 8 minutes. Be careful not to let the chicken dry out. Meanwhile slice the courgettes, either using a using a spiralizer to make courgetti, a mandolin or a julienne peeler (see tip above). Heat a teaspoon of olive oil in a pan and cook the courgette on medium heat for a couple of minutes to soften. If you have used a mandolin and have very thin courgette slices, cook on a lower heat and stir and toss continuously in the pan to avoid too much browning, or burning. Take of the heat and set aside. toast the almonds in a dry saute pan on medium heat for about 1 minute, tossing regularly, and again being careful not to burn! 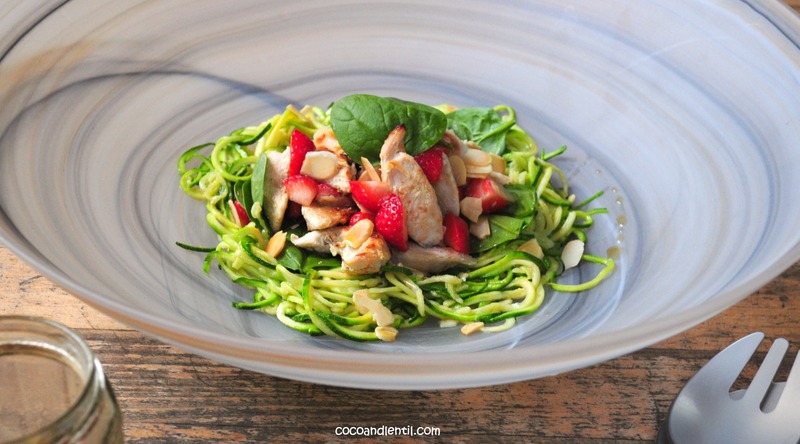 To assemble the salad, add the courgetti / courgette slices to your salad bowl. 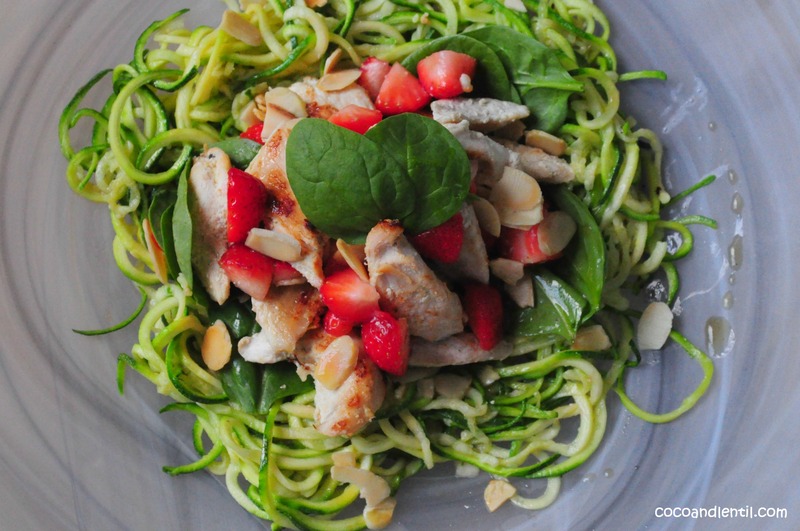 Place the spinach leave on top and then add the chicken and strawberries. Sprinkle the almonds over the salad and pour the dressing on top.